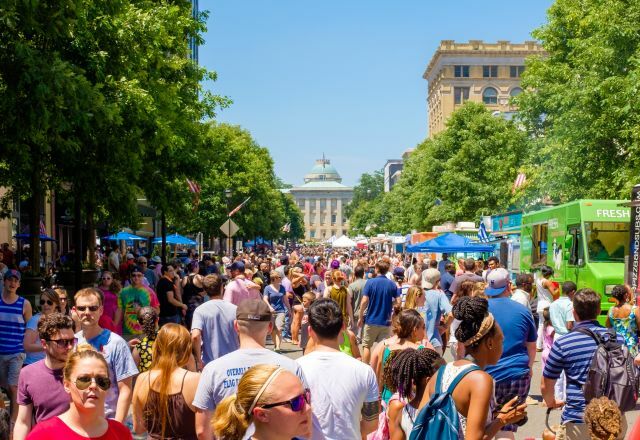 Food Truck Rodeos in Raleigh, N.C.
Food Trucks in Raleigh, N.C.
It’s safe to say Raleigh, N.C., knows a thing or two about food trucks. 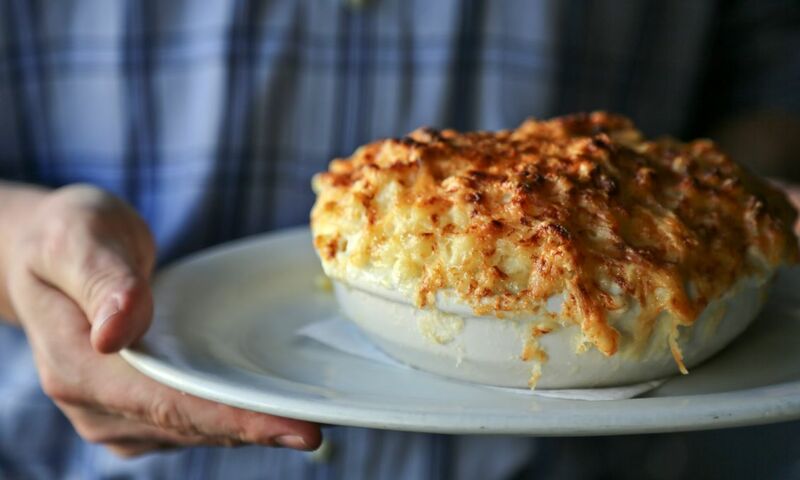 What started as a novel trend seemingly just a handful of years ago has now exploded and become an integral part of the foodie and cultural experience in the City of Oaks. Nearly 100 food trucks regularly stake out parking spots and open up their windows to serve customers in the Raleigh area. 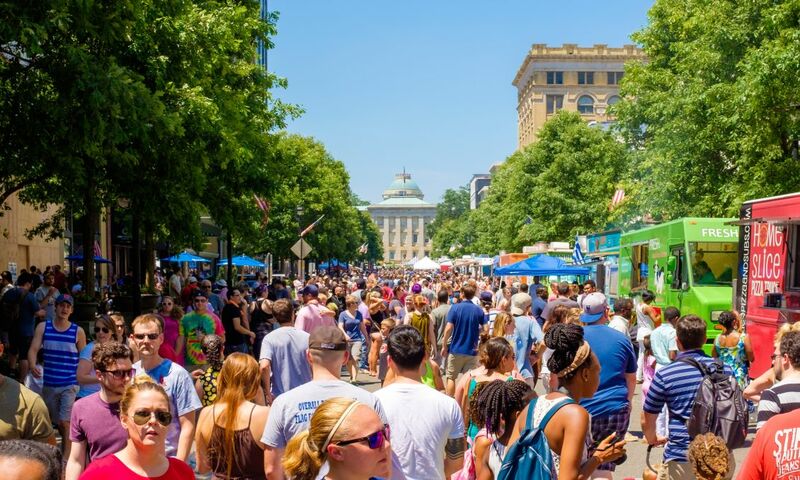 You’ll find food trucks outside museums, breweries, art galleries, music venues, office buildings, parks and anywhere else you can think of where hungry people congregate. 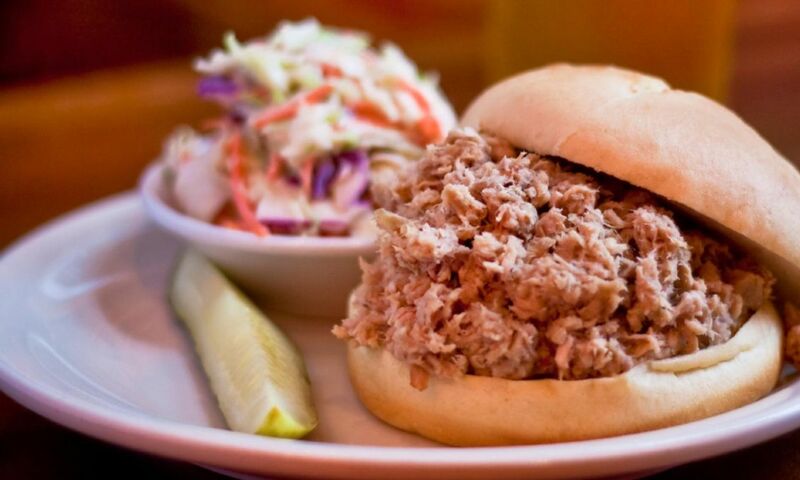 This low-and-slow, smoky barbecue truck is known for having some of most delicious pulled pork and beef brisket around. Owned by a husband-and-wife duo from Cary, N.C., The Humble Pig works with local farmers to source the highest quality ingredients. The sauces, thick and on the sweet side, are perfect for mopping up with a side of the beer-battered crinkle fries (which are absolutely recommended!). Named “Best Food Truck in America” after coming out victorious on Food Network&apos;s “The Great Food Truck Race” in 2015, Pho Nomenal Dumplings is adding Asian flare to American classics—you&apos;ll find unique offerings like Taiwanese spaghetti and a corn-dog bahn mi on the menu. 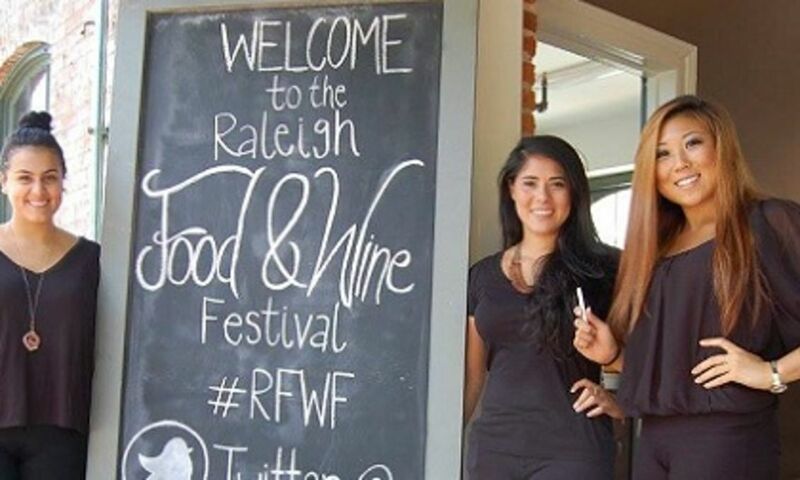 Sunny and Sophia, the duo behind the truck, parlayed their television success into their first brick-and-mortar restaurant, Mofu Shoppe, which was one of downtown Raleigh&apos;s most exciting openings in 2017. Lobster galore! With menu items including fresh Maine lobster rolls, lobster quesadillas and lobster tots, Cousins Maine Lobster is a seafood lover’s dream (and one of the most popular trucks in Raleigh—at food truck rodeos you&apos;ll often find the longest line at Cousins Maine). This food truck appeared on ABC&apos;s "Shark Tank" and scored a deal with Barbara Corcoran before expanding to include a truck in Raleigh.